There is only one correct answer for today’s prompt. Loads of companions have had nifty wardrobes over the years. But no one can compete with the fabulousness of Zoe Heriot’s. I think it has to be one of the most iconic companion looks of all time. Just as much (appropriately) as Jamie and his kilt. Zoe looks incredible. Even then, I would imagine that not everyone could carry off a look like that. 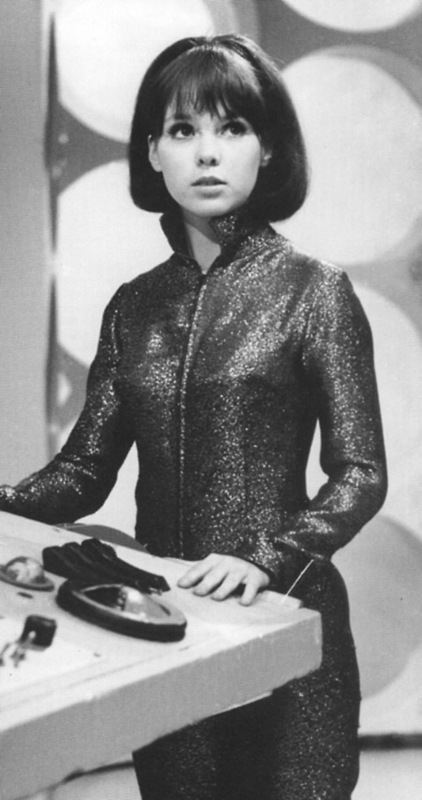 But Wendy Padbury is perfection in it. And it only adds to the long list of attributes that make Zoe so amazing. Which costume of the Classic era would you choose as your favorite? Let us know in the comments! I have to agree, Zoe’s jumpsuit is so iconic and amazing. There are so many great Classic companion costumes to choose from. I love: Victoria Waterfield (so elegant and stylish in her Victorian outfits), Romana I’s princess dress, Romana II’s wacky and creative styles, Nyssa’s amazing Traken dress, even Leela’s… whatever that was. Hahaha I’m glad you think I could pull that off! You have to. My Second Doctor cosplay needs a Zoe!